Pass the rope around the bottom horn and on around over the top. Continue down across the middle, and then up across again. 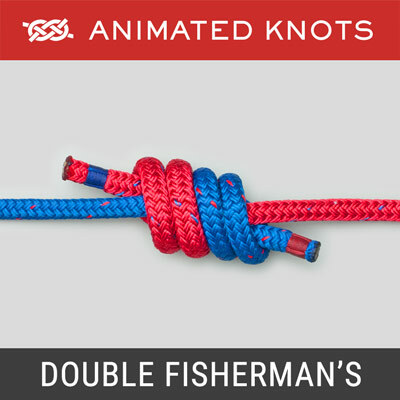 Twist a loop in the rope and hook it on the cleat as a Half Hitch. Uses: The Cleat Hitch secures a rope to a cleat. It is deceptively simple and an unwary skipper who invites visitors to secure a halyard may be astonished and dismayed by the unsatisfactory results. See also securing a rope to a Deck Cleat. First Horn: A mooring rope reaches a deck cleat at an angle and must be led round the most distant horn of the cleat first. By contrast, a halyard usually falls roughly parallel to the cleat and, inevitably, goes around the lower horn first. The direction chosen is often arbitrary. 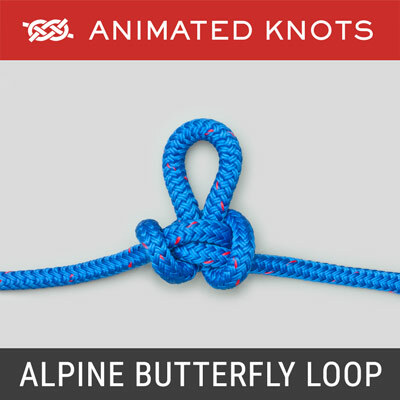 No Round Turn: As shown in the animation, the rope passes around the first two horns in the same direction. For a halyard there may little harm in continuing in the same direction around the lower horn again. However, for safety, a uniform technique is recommended when Mooring, Towing, and Cleating a sheet: always cross the center after the first two horns. 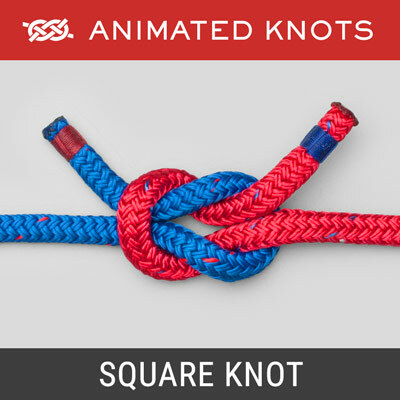 No Locking Turn: This animation shows a final locking turn - because it is common in small sailboats. 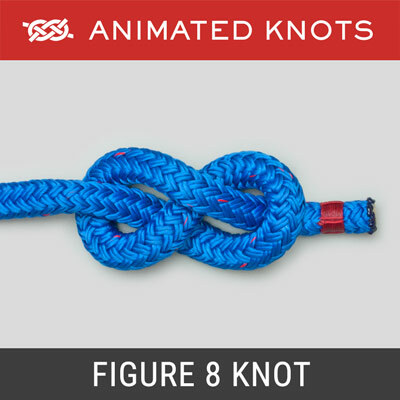 Never use a Locking Turn on a halyard on a large boat - use extra cross-overs. The essential requirement is the ability to release quickly. 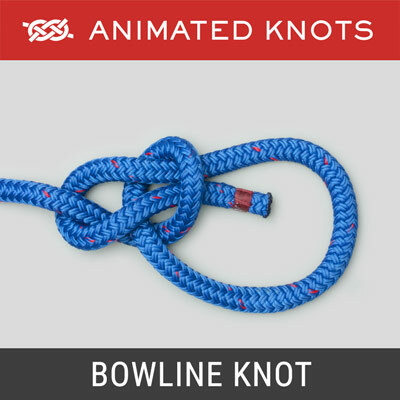 Also, the halyard should be coiled where it will run out easily. Tightening a Halyard: A halyard may be subject to a considerable load. On older sailing boats, there may not be a winch. After the rope has passed around the bottom and top horns, one person holds the tail and takes up slack while another swings sideways on the rope above to gain the slack. Number of Turns: In most of Ashley's illustrations he shows astonishingly few turns. However, he was writing when tarred hemp was the rope of choice. Today's ropes may be stronger, thinner, slippery, and more elastic (nylon rope stretches by more than 5% when loaded to 20% of its rated breaking strain). 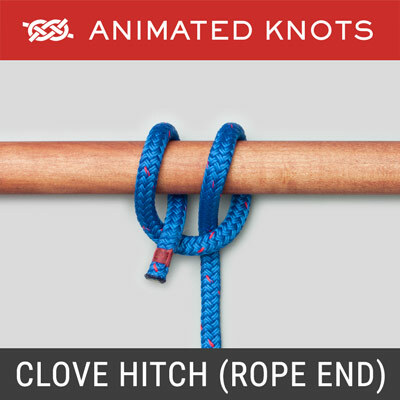 The animation shows only a single crossover before the crossover with the Half Hitch. An extreme load may transmit tension to the Half Hitch and make release awkward. For this reason, additional crossover turns are commonly used.